The 5.5 kilometre Tilke-designed circuit was declared ‘race ready’ by FIA race director Charlie Whiting after his recent visit. It boasts Silverstone-like sweeping curves in the first sector as well as a long backstraight that should boost overtaking. 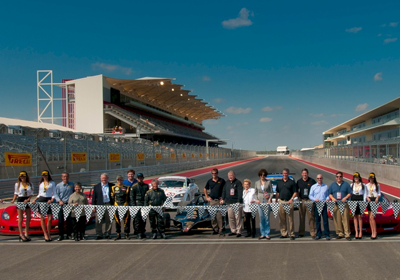 “With each and every lap, the driver learns a little bit more. But quite honestly, I think the track is phenomenal. It has all the features that race car drivers are looking for, as far as giving them the opportunity to overtake other drivers in the tighter corner. But then it widens out so there’s plenty of room to maneuver. 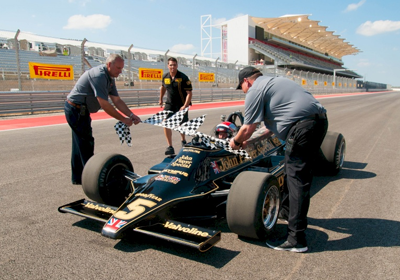 So bottom line, there should be some really terrific racing out here in the months and years to come,” the 1978 F1 world champion said after a run in the Lotus 79 car he won the title with. “I see the whole event will having a personality all of its own, and in some ways reflecting the character and temperament of Austin as well as providing a positive exposure for the Texas culture,” the Belgian noted.